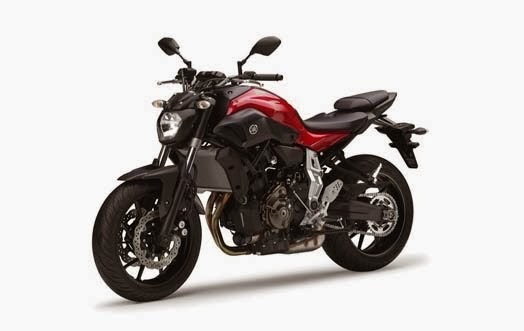 After the successful launch of Yamaha MT-09, Yamaha motorcycle manufacturer is rumored to be launching a new sport bike is the younger brother of the MT-09. 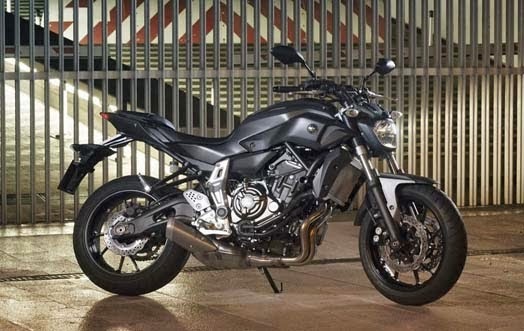 Latest spor tbike named the Yamaha MT-07 has a design nake bike and will be introduced at the EICMA Show 2013 in Milan in the near future. Yamaha MT-07 supplied machine 2-cylinder capacity of 689cc FI liquid cooled capable of spewing power 74 hp at 9000 rpm and torque of 68 Nm at 6500 rpm. At the front suspension uses telescopic fork models whereas for the stern using a swing arm with trave 130 mm, for frame shaped diamond is made of strong steel. 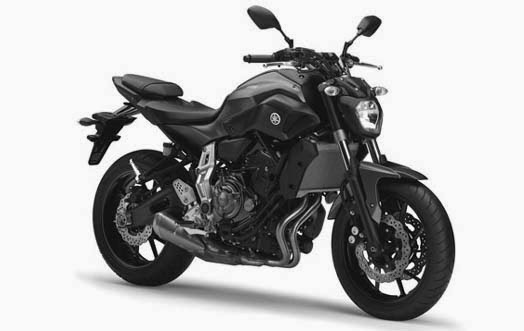 For braking system on the Yamaha MT-07 using hydraulic system with double discs for the front and rear wheels using a single disc.For the front wheels wrapped with tubeless tires size 120/70 ZR 17M / C (58W) and rear wheels 180/55 ZR 17M / C (73W).